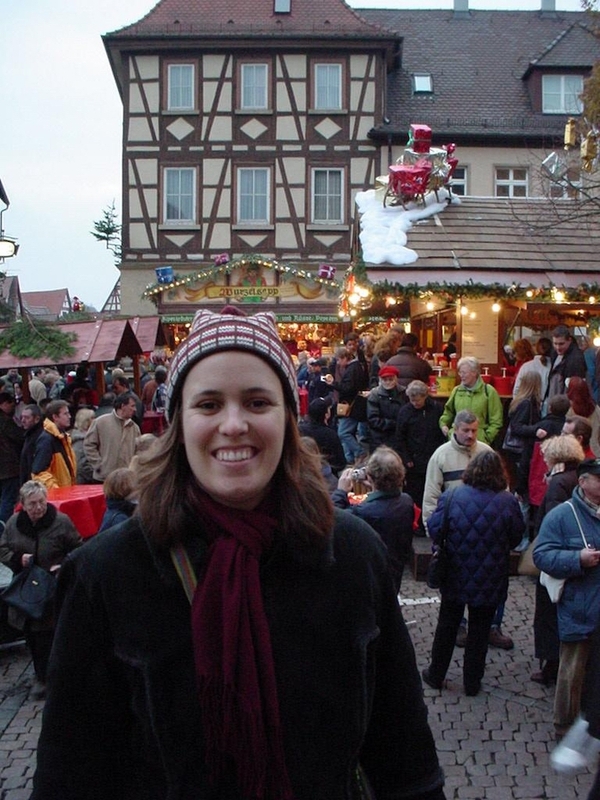 Apart from Australia, I lived in Germany for longer than any other country, and yet I’ve barely blogged about it. Quite regularly, though, I find myself telling people on Instagram or Twitter or elsewhere about my favourite lesser-known towns in south-west Germany, around where I lived, and I thought I should finally put them together in a post so I can just point people to this – and so that you all have the chance to find these gorgeous parts of Germany that are not Berlin or Munich! Now, if you’re doing a big-cities-only visit the trains are awesome, but if you want to get off the beaten track a bit and see some of these beautiful smaller towns and villages, then I would say that getting a hire car in Germany is the way to go. Something that to me, as an Australian, is quite different about Germany is that there are literally hundreds of small towns and villages and you are constantly driving through different ones and wanting to stop – so having your own wheels can lead to all kinds of cool discoveries. The list that follows is a random, eclectic list of great places to visit in south-west Germany, chosen because I’ve been there and loved them for a whole variety of reasons. Sometimes it’s enough that they’re so typically German – quaint buildings, charming beer gardens, everything you associate with real German-ness – and sometimes there’s something unique or particular. Whatever the reason, if you’re in the south-west of Germany grab a car and set your GPS to find at least some of these places and you’ll be satisfied! The town of Heilbronn comes first not because it’s the most amazing town in the region but because it’s where I lived. It’s also where my son’s grandfather lives so we’ve been back several times in the last decade, too. This is not a place that tourists visit; but they should. 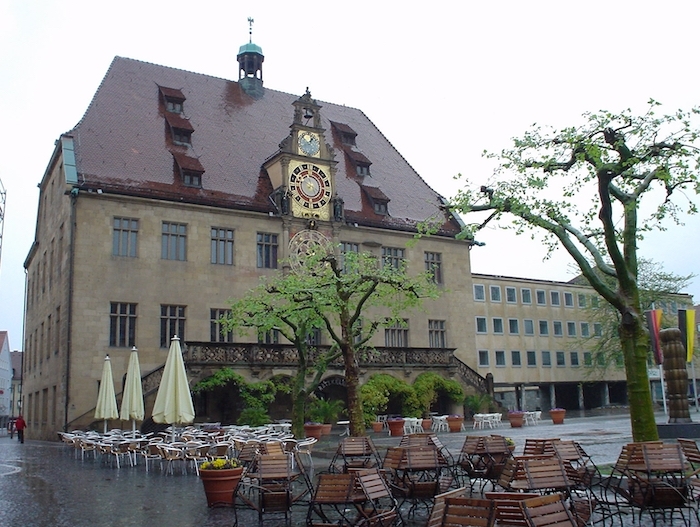 Heilbronn is the kind of town where you get to know how the typical German lives, especially the typical outside-of-a-big-city German, which is a big proportion of the population. It has a small town centre with several pedestrian-only malls and tram-like trains going down the main street, crossing the Neckar River on the way to the Hauptbahnhof. It’s a place to wander to see a mix of German architecture, to browse through German stores and to eat (food is never a problem anywhere in Germany, in my experience!). Bad Wimpfen is good, not bad! A twenty-minute drive north is the village of Bad Wimpfen, perched up a hill and with narrow cobblestone roads all meeting at the top where you can climb the Blauer Turn (Blue Tower) for amazing views, or stop to eat some of the famous local Spätzle (it’s a bit blasphemous to describe them as the German version of pasta but it’s the most appropriate way!). Head west another twenty minutes or so and you’re in Sinsheim – it’s not a particularly memorable town, but it has a very memorable place to visit with its Auto & Technik Museum. 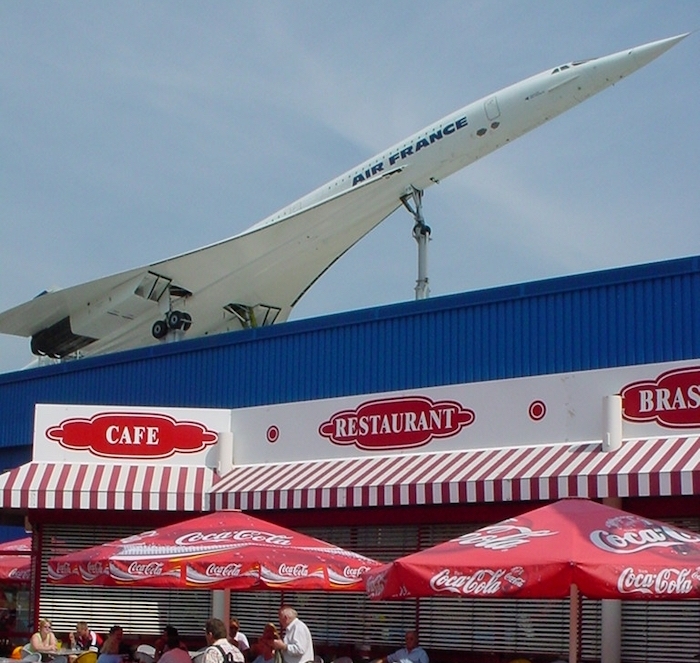 This museum is right alongside a part of the Autobahn (the A6, to be precise) which I drove along regularly and I will always remember seeing the Concorde plane they have there – perched as if it’s about to fly right over my head! The museum has more planes (and you can walk inside some of them), vintage cars, sports cars, trains, all kinds of stuff which was interesting enough even for me (who’s not really keen on that at all!) – one day though I’ll take my son there and he’ll be in seventh heaven! When I lived in Heilbronn, I had a wonderful colleague and fellow Aussie friend who lived half an hour south in Ludwigsburg – of course, being Aussies, we nicknamed it “Luddy”. It’s another great driving trip destination for a multitude of reasons, one being its impressive palace (the tourist literature compares it to Versailles) and the nearby gardens – Blühendes Barock – which includes sculptures and designs of thirty different fairytale scenes, quite spectacular to see for adults and kids alike – I went pre-kids and loved it! The beauty of a road trip in south-west Germany is you basically can’t go wrong. You’ll end up somewhere, in a relatively short time, and there’ll be something to find. Depending on the time of year, for example, it might be another Christmas market, or it might be a temporary vineyard restaurant or Besen (shown by a broom out the front) where you can get a really good German meal and some local wine. 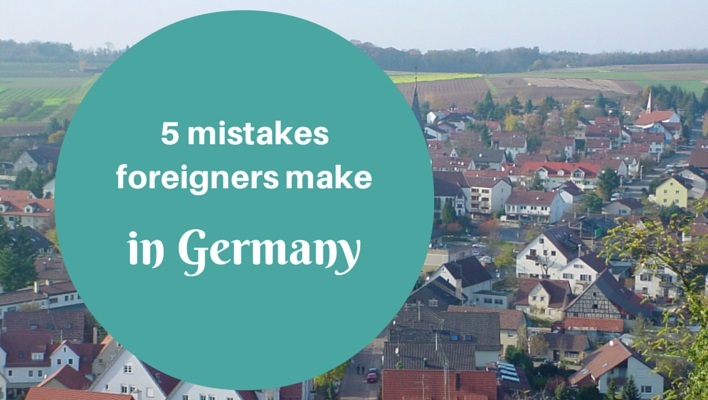 I really think it’s a vastly underrated area of Germany – and certainly one I never would have discovered if I hadn’t got a job there – and if you want to see some of the real Germany, that’s where to go. Viel Spass!